This book is on almost every single book blogger’s shelf, whether they have read it already or plan to in the future, everyone has talked about this book at one point or another. Of course I was intrigued and curious to know what all of the hype was about. It turns out that this book wasn’t exactly what I thought it would be and that isn’t necessarily a bad thing at all. This was my first ever experience with a novel written by Andrew Smith. Like I have already said, this book has been talked about all over the book community so I figured it would be the best choice for my first Andrew Smith novel, especially because I’ve heard so much about his other work being slightly on the weird and obscure side. I am known to love things that are out of the ordinary so I am excited to read more of his work in the near future. Andrew Smith’s writing style is fantastic. It was so fast paced and witty and humourous with just a slight hint of dark, sarcastic wit. I’m not sure if I’m describing even remotely close to what I’m thinking in my head, but just know that I thought it was fantastic. Our narrator, Ryan Dean West, is a very smart and mature fourteen year old junior in high school. Obviously this means he skipped a few grades which makes him the youngest of his classmates, making him an easy target. His classmates often call him a child, a little boy or “adorable” and this pushes him to constantly try and prove to his friends that he’s more than just a kid. He takes out a lot of his anger and frustration on the field as the winger on the school’s rugby team. I found Ryan Dean’s internal monologue to be hilarious at the same time as a being little depressing. The way he would come up with different “hotness scales” and charts and graphs were hilarious and made me chuckle quite a few times. The illustrations were a nice little touch. On the other hand, I found he talked to himself a lot and continuously called himself a loser. I know everyone has these thoughts from time to time, but after a while it seemed to me that he actually deeply believed he was a loser and that ultimately he felt out of place and alone at his boarding school. The other boys on Ryan Dean’s rugby team were fantastic supporting characters. Everyone had their own distinct personalities and I knew who was who throughout the entire novel without getting anyone confused. I loved Seanie who was just as hilarious as Ryan Dean, but just slightly more immature. Ryan Dean’s teammate and roommate Chas had his moments where I wasn’t particularly fond of his character, but by the end of the novel I found that I actually didn’t dislike him as much as I thought. Then there is Joey, an openly gay senior and the rugby team’s captain. Joey does not have one bad bone in his body and he acted as the voice of reason throughout the entire novel. Joey and Ryan Dean’s characters complimented each other perfectly. Although the boys in this novel were written fantastically, I unfortunately can’t say the same for the females. The two main female characters, Annie & Megan, kind of rubbed me the wrong way. Annie was very indecisive and moody throughout the first half of the story and Megan was a little too flirtatious and needy. I almost wish this story involved just an all boys school rather than co-ed, but the two characters did prove to be needed for the character development of Ryan Dean towards the end of the novel. The first 400 pages (a.k.a. 90% of the novel) was comedic and hilarious. We had a constant stream of Ryan Dean’s thoughts and everything was fun and campy…until about the last 30 pages. The story takes an incredibly dark turn that I was not expecting in the least and I found myself feeling really upset after reading the end of the story. I was shocked by how blunt and straight to the point these turn of events were and I’m still thinking about it well after finishing the novel. 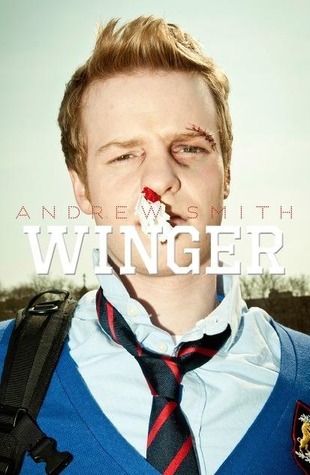 That being said, I am unsure of why there is a sequel being written for Winger. It ended on such a dark, yet powerful, note and in my honest opinion I think it should just be left alone. Will I still pick up a copy of Stand-Off? Probably. I just hope it doesn’t end up feeling like one of those movies that just doesn’t need a sequel, gets one anyway and it turns out to be a major flop. 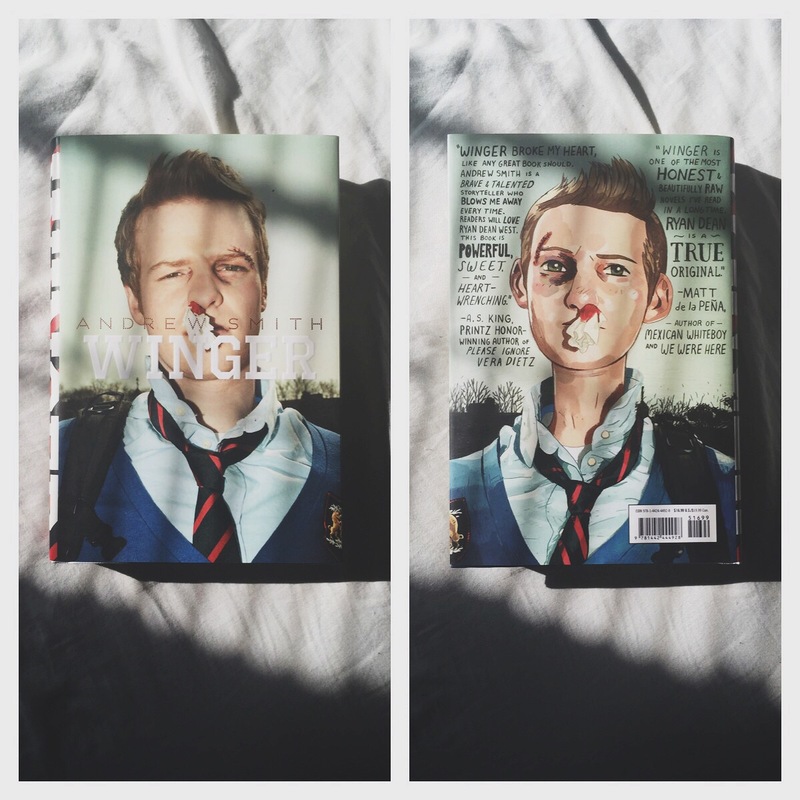 Winger was a great coming of age story and it definitely keeps you thinking about it long after you have finished reading. It doesn’t feel like it would have such a huge impact on you while reading the majority of the novel, but the ending hits hard. Winger is a memorable novel that will have a spot on my shelf for a very long time.